Please take a couple of minutes to complete Robert Green's CAD Manager Survey. He should have some very interesting data to share with all of us when the results are compiled. Unlike Lynn Allen, he didn't ask me to promote it, but I am because it will help the whole CAD Manager community if your experience is included. And don't forget to come back here and answer the "Your first AutoCAD version?" poll. This poll will close when the next version of AutoCAD is released. 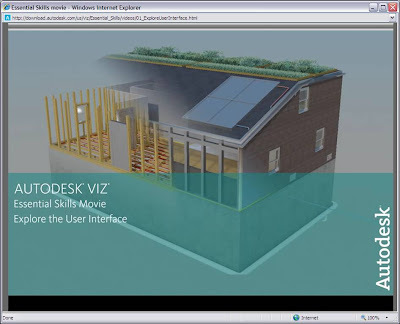 Most Autodesk software is available as a 30 day trial which you can request from your Autodesk Reseller, but many of these same trials are also downloadable. So if you need a few weeks to get under the hood and take one of these products for a test drive, then here you go (just make sure you have a wide lane on the information superhighway because some of these are monster truck sized downloads). FULL DISCLOSURE: Once again, these links are personalized for the Autodesk Reseller I work for, so if you are in our territory you will probably be contacted by them. 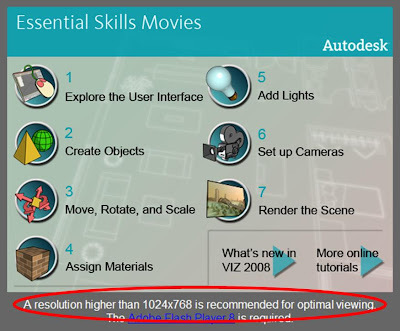 There are a lot of tutorials for Autodesk products on the web. I hope you are already taking advantage of many of them. I'm not going to get into a learning style debate here. Nor am I going to try to list all of the tutorials available. But I wanted to make sure you add the following tutorials to your toolbox. These are all from the various Resource Centers I described previously. FULL DISCLOSURE: Please note that these links are personalized for the Autodesk Reseller I work for, so if you are in our territory you will probably be contacted by them. P.S. And for you subscription customers - don't forget to have your designers work through the Subscription Center tutorials. 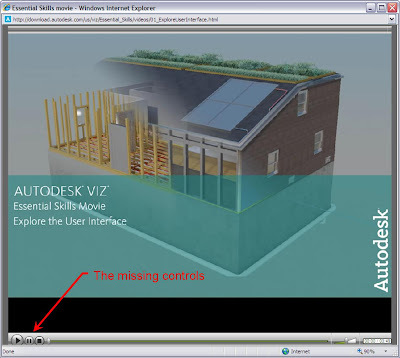 There is a nice online tutorial for Autodesk VIZ 2008 at http://download.autodesk.com/us/viz/Essential_Skills/index.html. Please note that there is a recommendation at the bottom of the menu to use a resolution higher than 1024x768. I tried running it again and got the same non-results. I was running at 1280x800, but apparently that wasn’t good enough. So, if you want to view these tutorials, you’ll need a higher resolution or you can use the following workaround. Look in the lower right hand corner of the screen. See that “100%” with the magnifying glass next to it? Select the down arrow to open the menu and select “Custom…” A value of 90 worked well for me. Any SciFi fans out there? You can watch some classic SciFi movies online at www.scifi.com/drivein/. 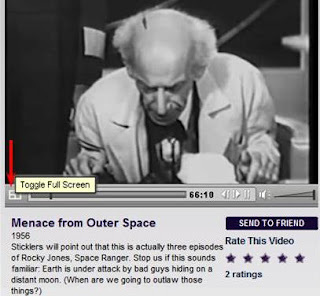 The list includes The Cabinet of Dr. Caligari, 20,000 Leagues Under the Sea (1916 version), Le Voyage Dans La Lune (maybe the first SciFi movie - notable image is the spaceship in the eye of the moon), Metropolis, and Menace from Outer Space (3 combined episodes of the serial Rocky Jones, Space Ranger). then in IE, go to "View>Full Screen" (or [F11]), and then right click on the remaining IE toolbar and select "Auto-Hide." Celebrate Autodesk's fiscal new year (Feb 1) with a gift from Autodesk. Autodesk Design Review (formerly DWF Composer) is now a free (formerly US$99-199) download from Autodesk. View, Measure, and Markup your 2D and 3D designs with Design Review. Go to www.autodesk.com/designreview and select "Download" from the menu on the left.